Mr. Rebates Review: Scam or Legit? How Does It Compare to Ebates? Looking for the best cashback offers and wondering if Mr. Rebates is legit or a scam? It can be tricky to know which cashback websites are best, so this Mr. Rebates review will show you the pros and cons so you can decide if signing up for Mr. Rebates is right for you. What is Mr. Rebates and how does it work? How do the cashback offers compare Mr. Rebates vs Ebates? Should you sign up for Mr. Rebates? Note: This post was updated April 2019. This post may contain affiliate links. Read our disclosure for more info. Mr. Rebates is a cash back site. It works a lot like Ebates and Swagbucks, which you may be familiar with. When you make a purchase when shopping through a site like Mr. Rebates, they earn an affiliate commission for referring you. Cash back sites split the cash with you. You might be wondering what the process looks like and how Mr. Rebates compares to Ebates so let’s take a look. After you sign up, find a store you want to shop at. Click the yellow “Shop Now” button and buy as you normally do. Your online shopping is not affected in any way except that you get a portion of your money. It’s a no-brainer really. Payout Methods. You get to choose between checks, gift cards, or PayPal deposits. 1-3 Days Waiting Period. Your account will usually be credited in 1-3 days after your order or shipment. $10 Minimum Payout Threshold. Your “Available Rebates” balance must be at least $10 before you can withdraw your cash. Payout frequency. You can redeem money every month long as you hit your minimum. 90 Day Pending. Your rebate will be “Pending” for 90 days before it switches to an “Available” rebate that you can withdraw. So while earning cash back with Mr. Rebates is super simple, it does require a little bit of patience. Mr. Rebates makes money by getting an affiliate commission from the online stores they direct traffic to. They need shoppers like you to earn money, so they don’t mind sharing the commission with you. And you wouldn’t get any money back on your purchase at all if it weren’t for them, so it’s a win-win for everyone. The sign up bonus for Mr. Rebates is $5 after your first purchase. Cashback sites usually offer sign-up bonuses. This gives you an incentive to sign up and start using your account. Mr. 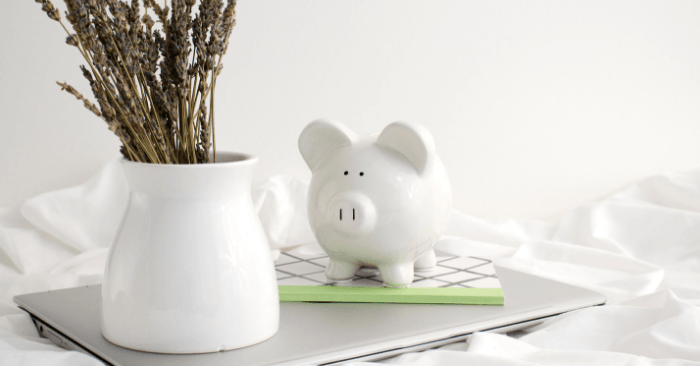 Rebates vs Ebates – How Do They Compare? Ebates is one of the most popular cash back websites. But Mr. Rebates has some notable benefits you can’t ignore. So which cash back website is better? Both are legitimate cash back websites. Neither are a scam. 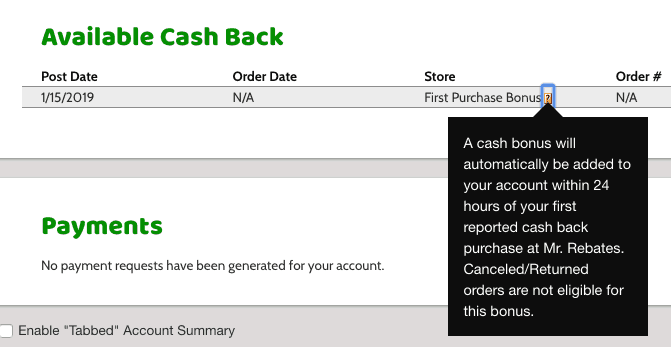 Ebates offers a $10 sign up bonus vs. Mr. Rebates welcome bonus is $5. Ebates has no minimum reward balance but they only payout once per quarter. Mr. Rebates will pay out every month as long as you have $10 in available rewards. Both have over 2,000 qualifying online retailers. So do you have to pick only one? 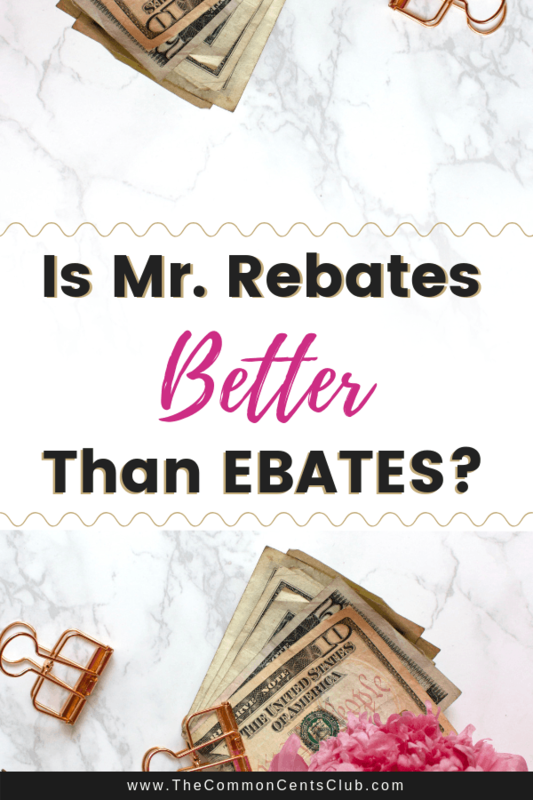 Can You Use Both Ebates and Mr. Rebates? YES! You can sign up and use both accounts. However, for each online purchase, you can only earn cash back from ONE website. It will be whichever link you clicked last before making a purchase. So you can join Mr. Rebates in less than a minute then compare offers before you shop to see which one will give you a higher percentage of your money back. At the time of writing, here are the payouts offered for Mr. Rebates, Ebates, and Swagbucks at thirteen popular online stores. As you can see, the payout percentages vary greatly. They may be different the day you’re reading this too. Thus, if you’re looking to get the best cash back deals, you should sign up for Mr. Rebates, Ebates, and Swagbucks then compare the payout percentages before you shop to see where you can get the most from your money. Mr. 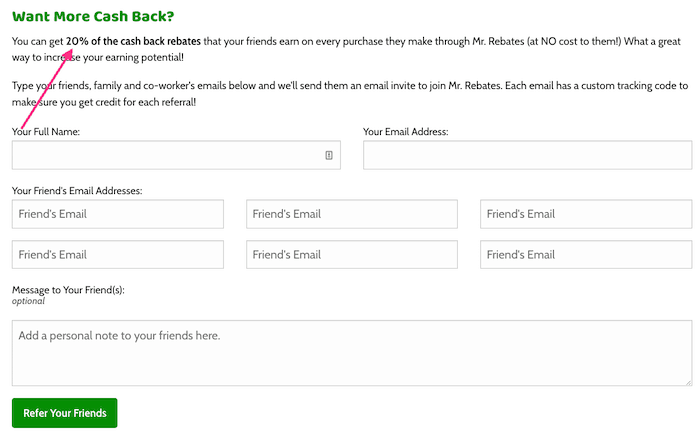 Rebates has a referral program that is worth your time. While some cashback sites offer a one-time bonus for referring a friend, Mr. Rebates referral bonus allows you to make extra money for years to come. Once you refer a friend to join Mr. Rebates, you get 20 percent of their lifetime earnings. So after the initial referral, you do not have to do anything more yet you will still earn money. 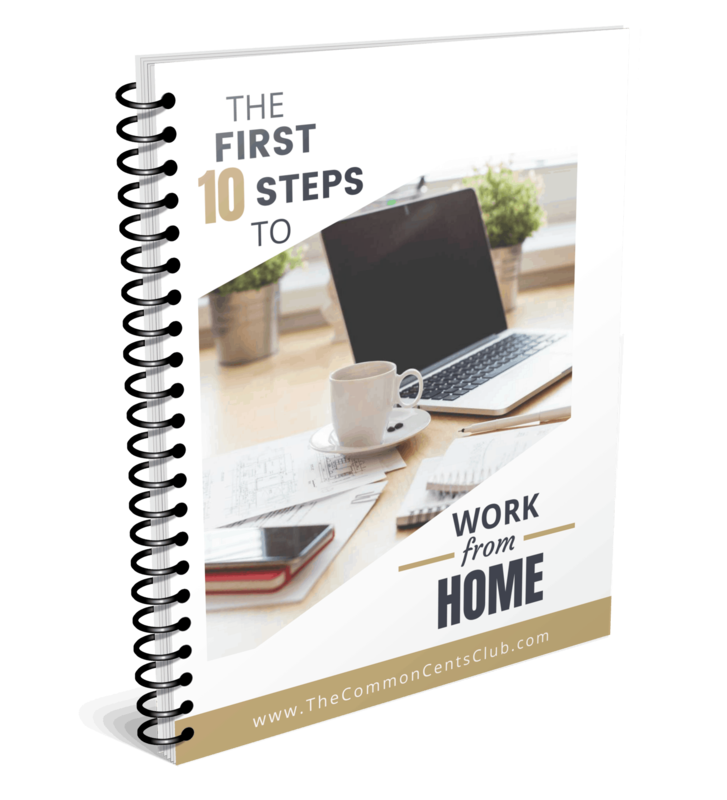 This source of passive income is a win-win because you will not only help your friends and family save money, but you’ll make money at the same time. Is Ebates or Mr. Rebates Better? 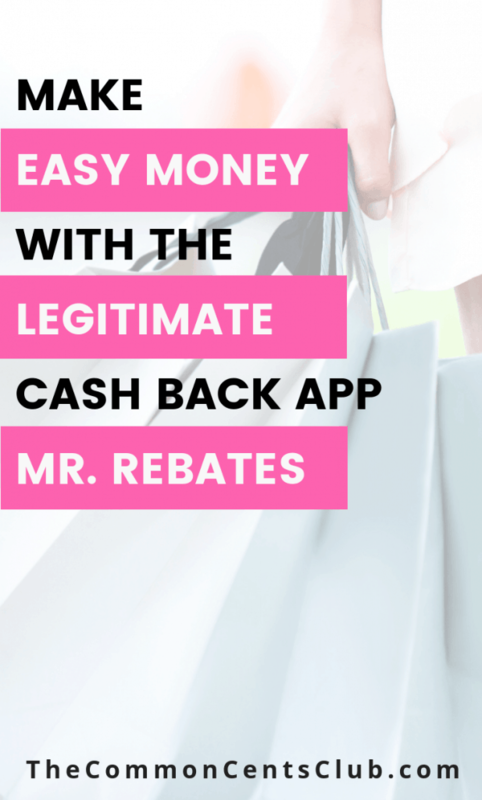 After using Ebates for years and writing a complete Ebates Review, I knew I needed to dig deep and discover how Mr. Rebates compared. So which one is better? The cash back they offer varies day by day. The Ebates referral program is better up front (currently it’s $25 for each new friend you refer) but the Mr. Rebates referral program is better if you have a lot of friends, family, and other connections who use a lot in the long run. Either way these cash back websites are offering you free money just by clicking a button, so my honest recommendation is to sign up for both and check each payout offer before shopping to see which has the higher payout. Mr. Rebates is listed here as one of the best Ebates alternatives for good reason. Is Mr. Rebates Legit or a Scam? With all the scammers out there, it’s legitimate to question if Mr. Rebates is a scam. But rest assured Mr. Rebates is not a scam. The Better Business Bureau gives it an A+. Hopefully, now you understand Mr. 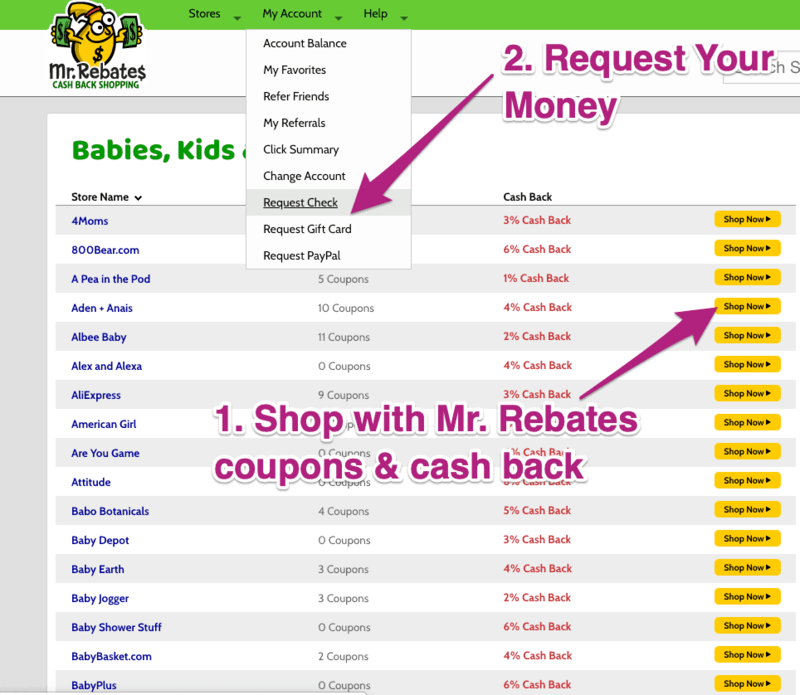 Rebates is a legit cashback site, you get how it works and understand why they give you money. If you have any issues with your account they have a great FAQ page where you can also contact support. Without using cash back programs, you are leaving easy money on the table with almost every purchase. Mr. Rebates Review: Is It Worth It? 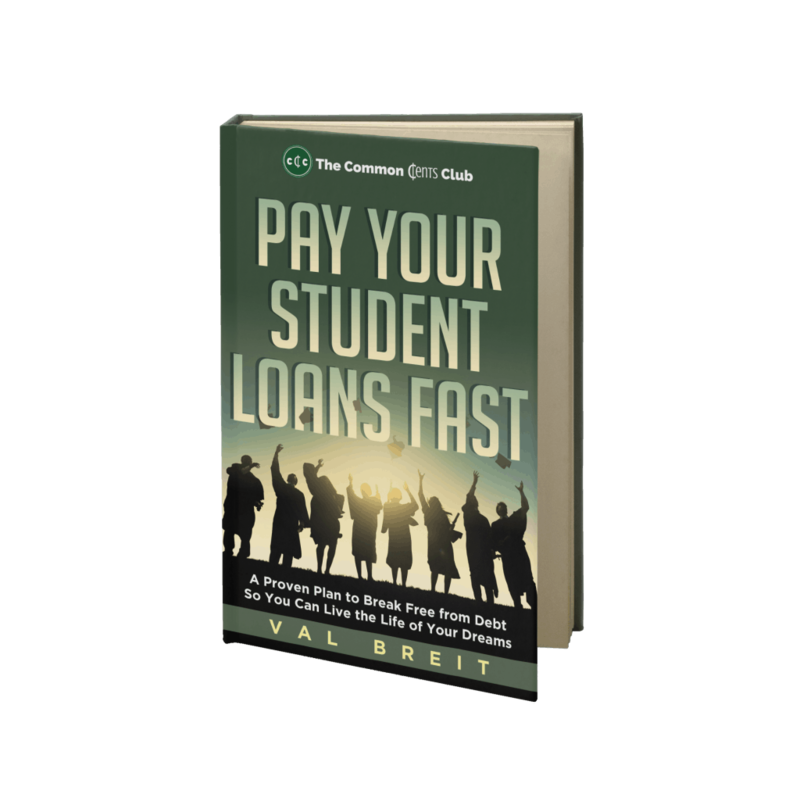 While you won’t be able to quit your job with the rebate money you earn, would you really turn down easy money in the form of checks, gift cards, or PayPal cash? If you were planning to make a purchase anyway, why not get some of your money back? Are iRobot Roomba Robot Vacuums Worth It? Before You Go…Save It To Pinterest! Share to help friends put more money in their pocket. They will think you’re genius for finding another legitimate cashback app.